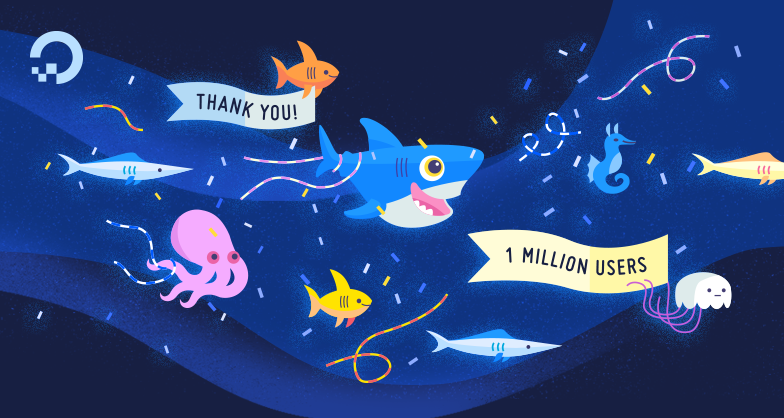 Today, we’re excited to share a recent milestone with you: DO now supports 1 million users around the world. We’ve grown with our users, and have worked hard to give them the products they need to run their services without compromising the user experience they’ve come to love. We’re grateful to our users and community, and to the people that have helped us grow and learn along the way. In 2012, DigitalOcean had a modest start. Our staging environment was around 4 or 5 servers, and we had a handful of engineers running the platform. We had two datacenter regions, 200 Droplets deployed, and a vision for what cloud computing could become. But most importantly, we had the support of a community of developers that helped us realize that vision. Holding user groups in our early stages really helped us answer key questions about what aspects of the user experience could be improved. We launched our first datacenter, NYC1, and opened up our first international datacenter, AMS1, in January 2012. Our users have played a huge part in helping us determine where to launch new datacenters to serve them better; in addition to NYC and Amsterdam, we now have them in San Francisco, Frankfurt, London, Singapore, Toronto, and Bangalore. Our dedicated team of network engineers, software engineers, datacenter technicians, and platform support specialists have worked tirelessly to give all of our users a great experience and access to simple cloud computing at any scale. Among our early adopters were projects and companies like JsFiddle.net, AudioBox, and GitLab, who have scaled along with us as we’ve grown. Projects like Laravel Forge also chose to host their applications on DO. We’ve also partnered with companies like GitHub (Student Developer Pack and Hacktoberfest), Docker (Docker Student Developer Kit and our Docker one-click application), CoreOS, and Mesosphere on major initiatives. Developers that helped spread the word when we first started include John Resig (jQuery), Jeff Atwood (Stack Overflow), Ryan Bates (Railscast), Xavier Noria (core Rails contributor), and Salvatore Sanfilippo (Redis). 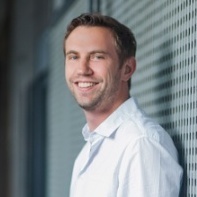 Pere Hospital, co-founder of Cloudways, found DigitalOcean in 2014 while looking for an IaaS partner that could add value to his clients’ business processes. When Cloudways hit 5,000 DO compute instances they had their own internal celebration—and they’ve added thousands more since. Additionally, several community members embraced DO and created tools that extended our API early on. Jack Pearkes created the command line tool, Tugboat, in 2013. Ørjan Blom created Barge, a Ruby library that pre-dated our official Ruby library, droplet_kit. Lorenzo Setale created python-digitalocean, which remains the most widely used Python library on DO. And Antoine Corcy created DigitalOceanV2, a library that helps PHP applications interact with v2 of the DO API. There have also been many others that have shared feedback with us and created tools of their own. We thank all of you for being a part of this. Members of the DO community have become a part of the DO family. We’ve reached over 1,600 tutorials on our Community site, in large part due to technologists that have contributed articles through participation in our Get Paid to Write program. Marko Mudrinić, for example, has written a number of articles for the Community site, frequently engages with other users in our Q&A section, and contributes to the official DO command line tool, doctl. The journey to 1 million is full of stories, people, moments, events, and companies that have crossed paths with us and have inspired us. Our users have been with us every step of the way, and we’ve tasked ourselves with meeting their growing infrastructure needs, and their goals for engaging and collaborating with us. There is so much more to come, and we’re excited to share it all with you. Thank you!